Why do teachers test their students even if they already have a pretty good idea how they will do on the test? Who will gain from these test scores? 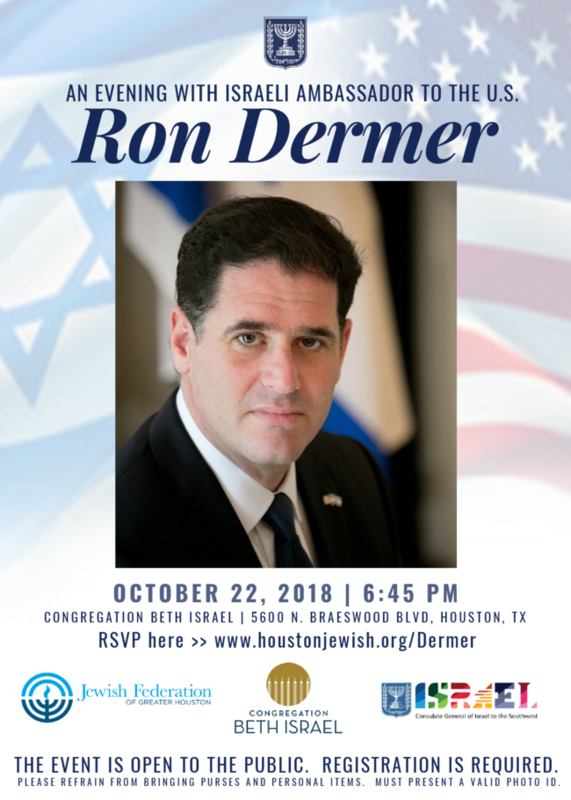 Find out in this week's Parsha minute! 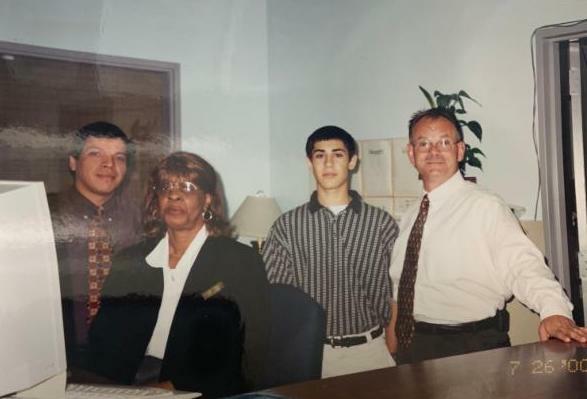 As part of the "Partners for Tomorrow" Summer Internship Program set up for 10th and 11th grade students, in 2000, Rabbi Ari Kellerman (Class of '02) spent the day at the Doubletree Hotel to see what happens behind the scenes at luxury hotels and learn how to create a budget analysis. 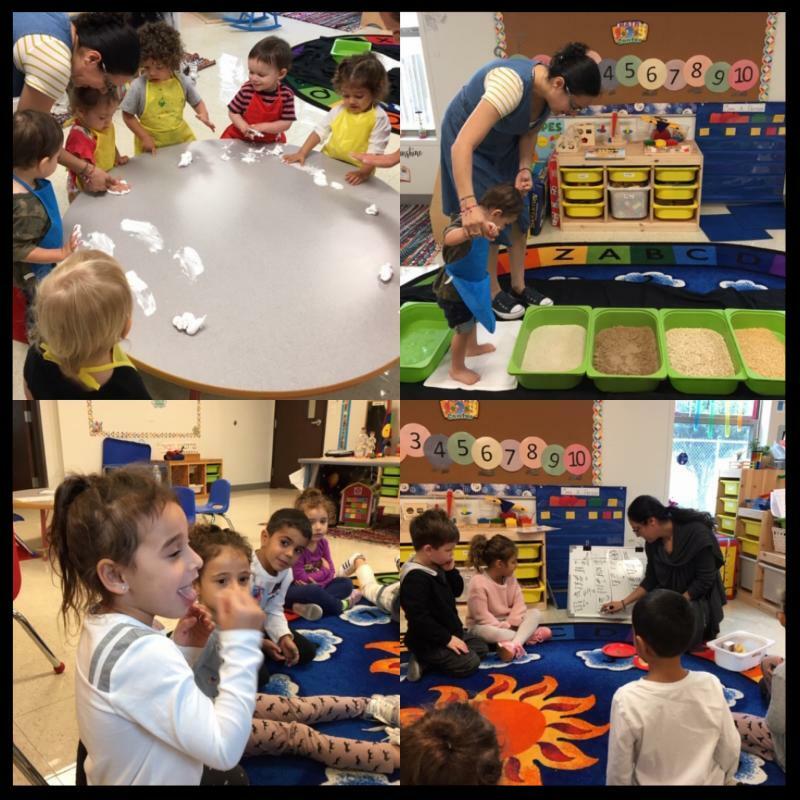 This week in STEAM EC3 and EC4 put their biologist hats back on as we began to explore the body parts that allow us to use our five senses. We took an in-depth look at how the tongue allows us to eat, talk, and taste. We learned that the tongue has four flavor regions - sour, sweet, salty and bitter. We conducted a taste test, tallied how many people liked each item, and described what each item tasted like. In EC15 and EC2 we explored our sense of touch as we took a sensory walk on different textures. We got to play with scented dough, rice, and kinetic sand. We also used texture blocks to build our vocabulary by learning what is smooth, rough, soft, and scratchy. 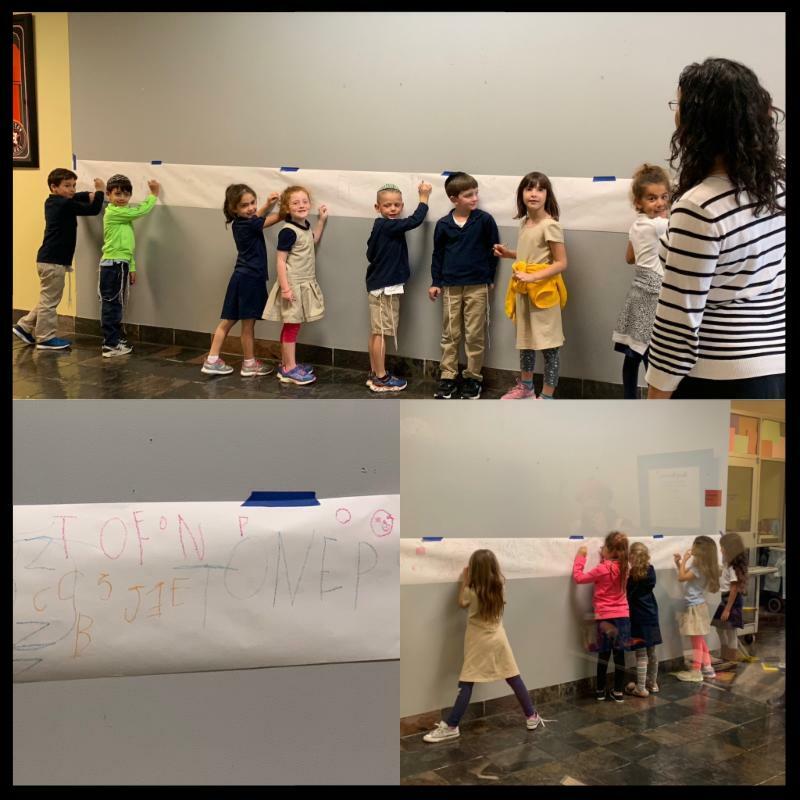 Students in Mrs. Schneider's 1st grade class completed their review of capital letters by "writing on the wall." Writing on the wall is a great activity to improve shoulder stability and wrist extension and develop and reinforce the correct pencil grip. Also it's a lot of fun! 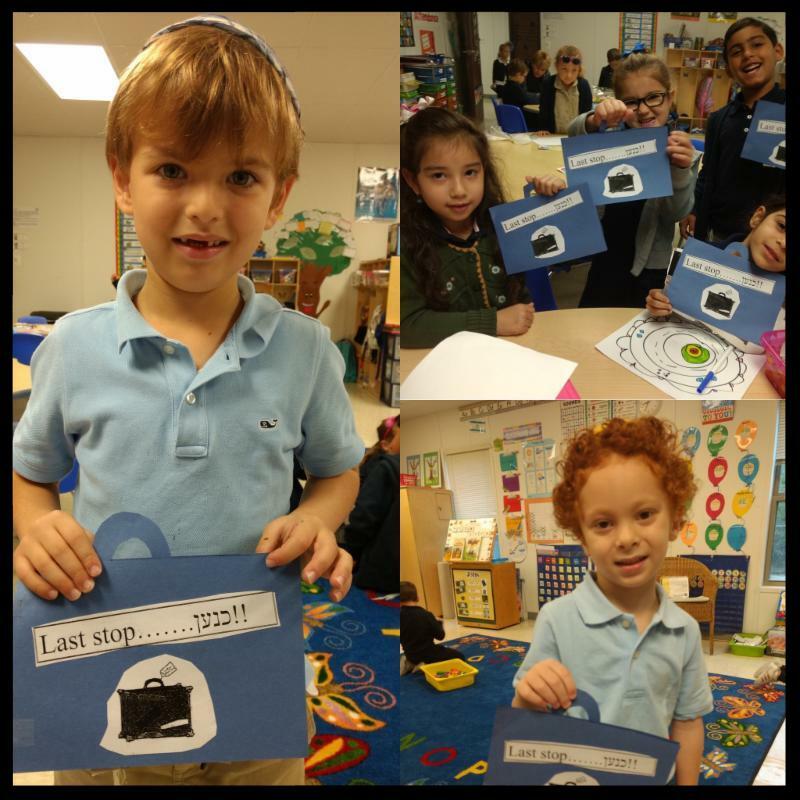 This week, Kindergarten students in Morah Gabi's class imagined that they were Avraham Avinu. 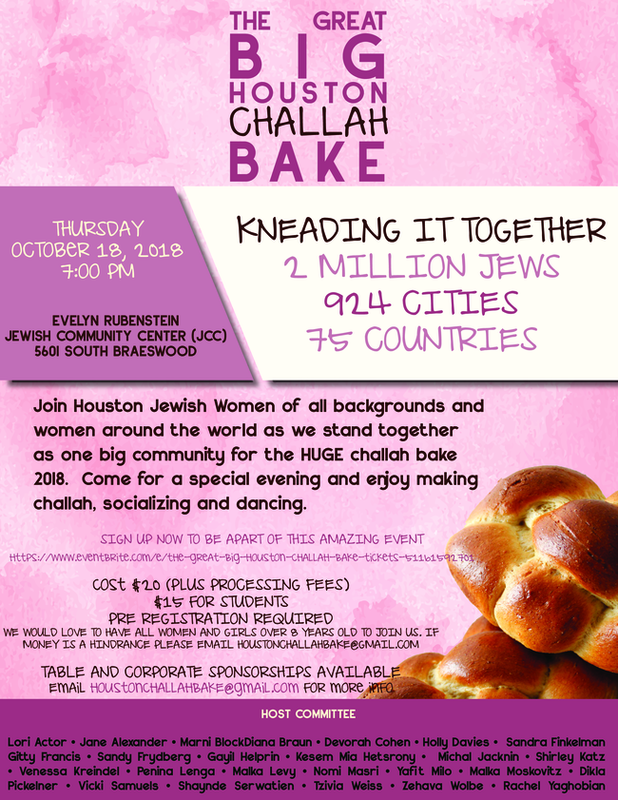 What would we take if Hashem said "Lech Lecha" to us? They looked through magazines and chose pictures of essential items that they would pack in their "suitcases." 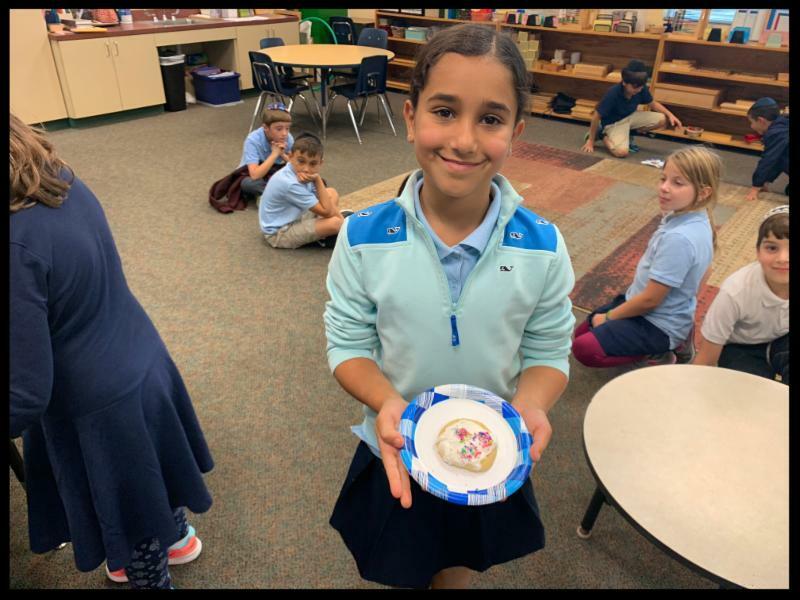 Students in Ms. Bigham's 1st through 3rd grades Montessori class enjoyed a decorate-your-own cookie from the cookie bar as a special incentive treat for collecting the most box-tops school-wide. 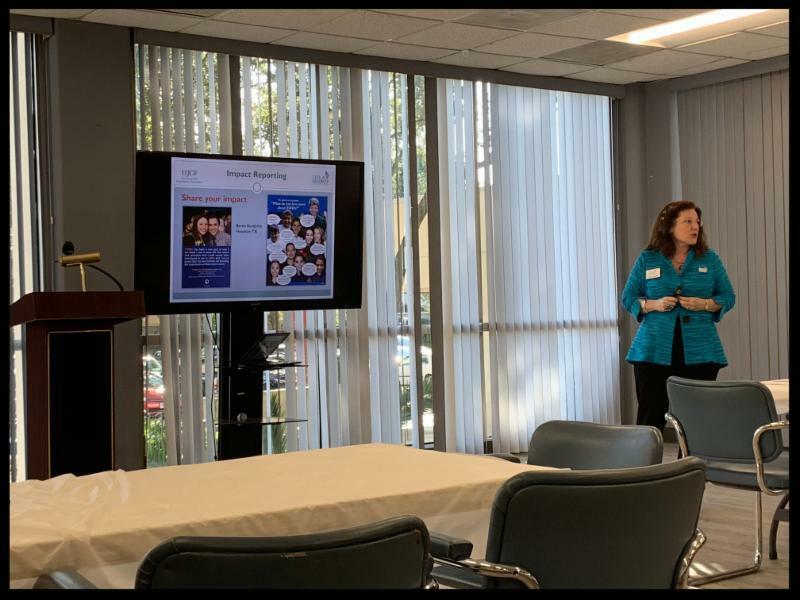 While at the year 4 Create a Legacy team training at the Houston Jewish Community Foundation, it was very exciting to see examples from RMBA as part of the national slide presentation shown to 565 partnering organizations! 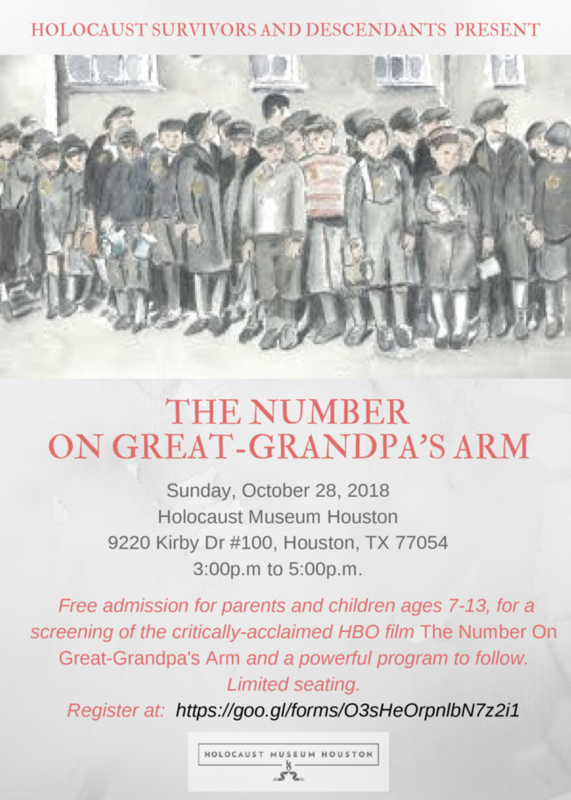 Create a Legacy is a partnership program of the Harold Grinspoon Foundation to support Jewish communities in securing after-lifetime gifts. 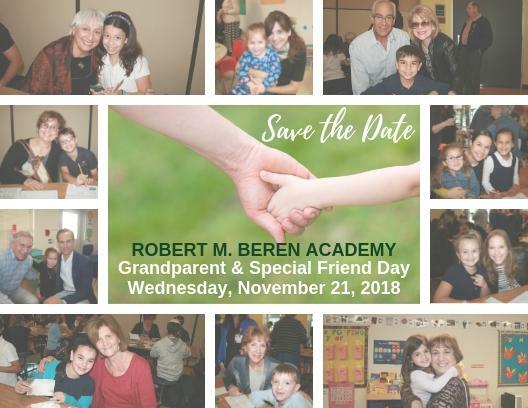 To learn more about our participation please click here. 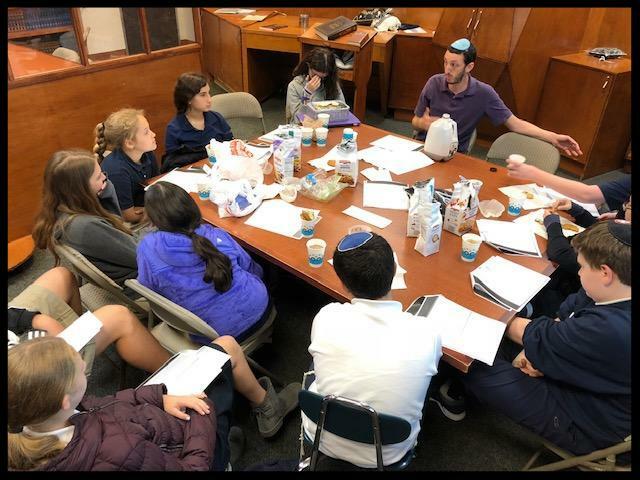 Middle School students enjoyed learning about various topics covered in the book Lett ers to Talia (originally published in Hebrew as Michtavim LaTalia) with Rafi Engelhart during Wednesday's Torah Cafe. 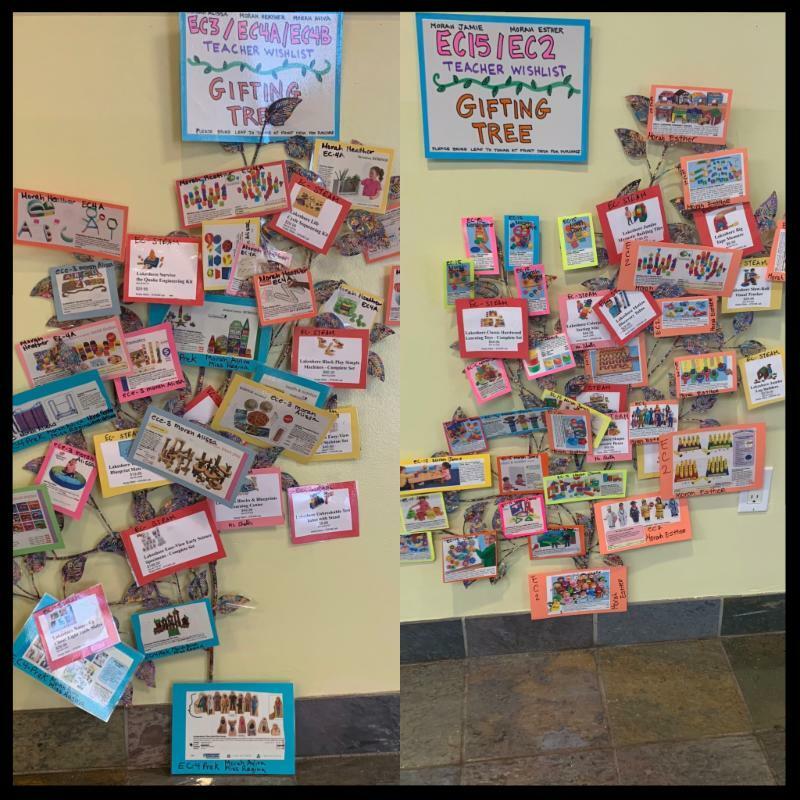 New gifting trees have been set up with Early Childhood teachers' wish lists in the lobby. The one-stop shop is a great and simple way to contribute to a specific classroom by gifting an item, without the hassle and guesswork of running around from store to store. To purchase an item, simply hand the stock photo of the item to the front desk with a payment for the amount listed. 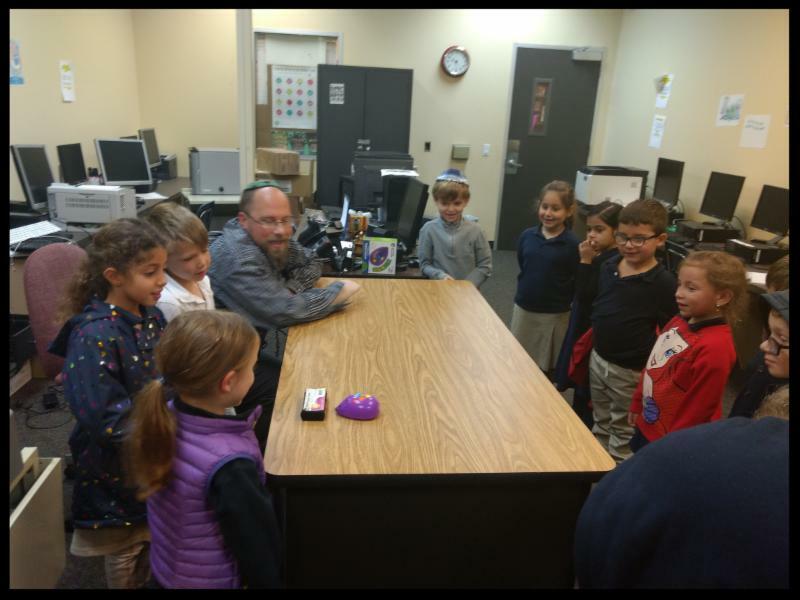 Kindergarten students enjoyed a fun lesson in coding in Mr. Riklin's technology class. Using Carl the Coding Mouse, the class programmed the mouse to find his way home. They needed to figure out the exact directions that needed to be entered to get Carl home safely. 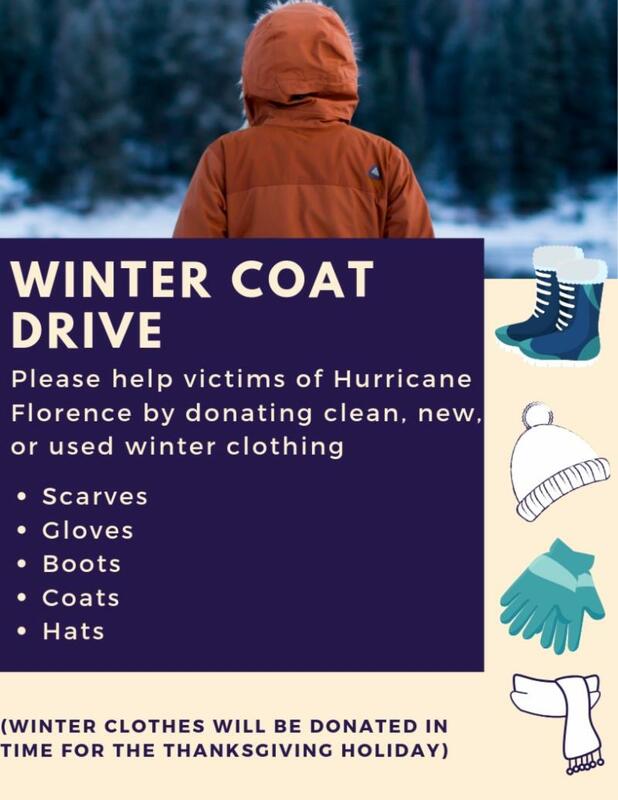 Please help victims of Hurricane Florence by donating clean, new, or used winter clothing. Clothing can be dropped in the collection boxes at RMBA located in the lobby. The middle school volleyball team completed their season last night with a tough loss against Westbury Christian. Throughout the season, the girls showed tremendous growth as a team. We are very proud of the improvement each player showed and look forward to them continuing to get better over the off-season. The high school volleyball team finished their season with three straight wins in district to improve their record to 5-5 in TAPPS district play. Although they missed the playoffs by one game, the girls really came together and fought hard to the end.